When ever it comes to searching we always prefer Google as it has the finest techniques to collect quality content from all across the internet. Google still owns more then 70 percent of search engine share in the market which makes it, stand out performer from several years. DMOZ is an open source website directory, the websites which are listed in DMOZ are highly professional therefore DMOZ only include those sites which have some worth. 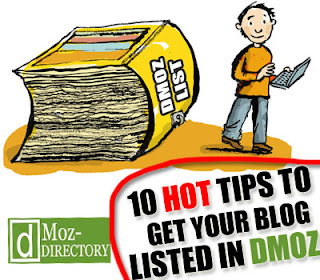 The reason why it’s important to get listed in DMOZ is that it will give your site a High Page Rank from Google. As a result your site will be displayed in the top ten search engine results. Now you all would be thinking why Google liked DMOZ, it’s not even owned by Google. Google knows DMOZ is tough to get into, because every single website/blog submission is monitored by human reviewers. All the hard work is done by Volunteers, this not only saves money but it removes computer errors. So it means when ever you will submit your site to DMOZ, no matter when happens your site will be reviewed by a volunteer till it gets approved. This is the reason why Google rides on the back of DMOZ and give importance to those websites which are listed in it. Submitting the same website again and again to DMOZ can annoy the volunteer. So don’t over do it, just keep it simple by submitting your site once. After submitting your site, wait for few months to get the desirable results. 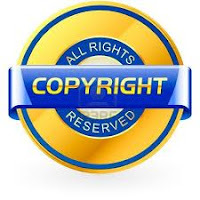 If you site is full of affiliate systems, and your site is overflowing from the content which is copied from somewhere else or any content which violate DMCA copyright law then no matter what happens DMOZ will reject your site submission. Just like choosing the correct category for your website, it’s very vital that you read all thebasics guidance present on DMOZ before submitting your website/blog. If you failed to do so, then it may cost you and your site listing. Even if you were able to choose the correct category for your site, but if there is no active Editor (Volunteer) available for that category. Then you’re going to wait annoying long time to get your site listed. If you have noticed, when you are viewing any specific category at DMOZ.com at the very bottom of the page it says Last update: [Day, Month Date, Year Time]. If the category that you are thinking to apply is not updated from couple of years, then it means the editor is maybe not active. The easiest technique to get listed in DMOZ is to buy the domain which is already listed in DMOZ. Sound pretty childish but it is the single shortest way to get listed. So these were the tips that you should keep in your mind before submitting your site to DMOZ. Soon we will share how you can become an Editor at DMOZ to guarantee your website listing so stay tuned. Till then Peace blessing and happy listing. Thanks I didn't even know what DMOZ was. By the way, why so many people are using this same template? he is talking abt MBT..You r using MBT Tempalate..
Good Art Work Syed. Appreciate your blog. But as the above comment. There are many people who just see the site not the content. And as this looks just like MBT one. People may think that this is one directly copied from MBT. As the name too looks something similar. Please change the template and you will rock. Thanks For liking the Art Work Pal, Yes I Totally Agrees With You But Currently as I already said I am Stucked in Exams, And If I mess with the Template Now it might goes wrong. So Soon You Will See A New And Improved MyBloggerLab.Thanks For Your Suggestions Buddy.